The concept of voice search optimisation has been gaining more traction recently, especially after Google’s very own John Mueller provided suggestions on what works for Voice Search during a Webmaster Central Hangout. While it’s not exactly what we’d call the future of SEO, voice search has become even more prominent due to the increased use of mobile devices and voice assistants like the Amazon Echo and Google Home. And since queries done through voice search is vastly different from simply typing it in on a search engine, it’s important to know how to get your site on top of the results whenever a user asks something from Alexa, Siri, or what have you. To prepare for the rise of voice search, better take note of the following methods that are best used in optimising your site and content. Even without the goal of optimising for voice search, you should’ve already implemented having a schema markup, also known as a structured data, to optimise your site for search engine rankings. A structured data, which is metadata implemented on your site’s source code, provides data about the information found on your site. This would be extremely helpful if you’re focused on creating content that’s specially targeted towards your primary audience, since it helps Google–and other search engines–direct them towards your site. So how can it help voice search? Voice queries have a lot to do with users wanting to find local businesses. Through implementing structured data, you can ensure that search engines would be able to identify the important information regarding your business such as operation hours, contact information, address, and so on. In line with having structured data, there are other ways to optimise your business listing to make it easier for your customers to find you. Improving your business listing includes claiming your Google My Business listing that’s complete with accurate name, address, contact number information, as well as other pertinent data such as industry categories and writing a packed introduction on the field provided for. It’ll also boost your ranking to have positive reviews in order for Google to recognize your business as something that would best deliver what the users want. Pay attention even to the small details such as ensuring that your business info is accurate across several platforms, choosing the right categories, using high-res photos, and so on. One important characteristic that differentiates voice search keywords from your conventional search engine keywords is having that conversational tone and longer sentence structure–often times, in the form of a question. This is why it may do well for your site’s content to strategically place a question, and naturally follow with the right answer. One way to start is to think of how you would ask for the products and services that your business offers. Getting into this mindset will help you reformat your keywords in such a way that reflects how your customers would structure their voice queries. For example, you offer nutritional products. You may want to use a question such as “What is Intermittent Fasting?” as your title or headline and then proceed to offer a short yet substantial information right on the first paragraph before you dive into breaking down its components. You simply can’t run away from needing to optimise your mobile site. The benefits of having a mobile responsive site is so vast, it even includes voice search optimisation as well. This is really no surprise since most voice searches are done using mobile devices. Just one question could instantly direct a potential customer to your site and you’ll want your site to offer them with a seamless user experience, so they won’t look anywhere else. Part of optimising your mobile site is ensuring that the pages load fast. People have very short attention spans, especially those using their phones, and you’ll want to give them what they want when they want it in order to increase foot traffic and conversion rates. 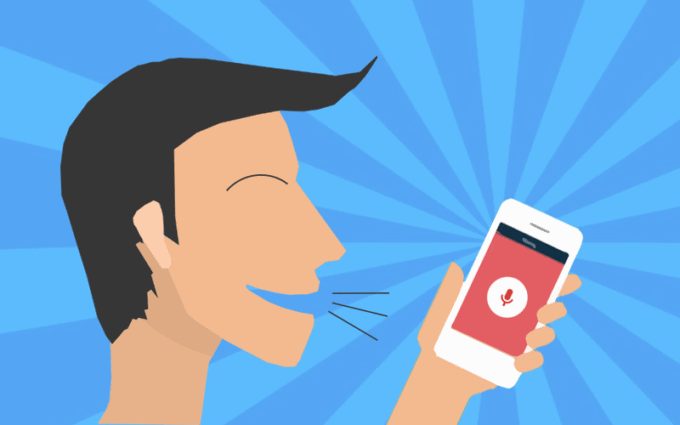 We may not know just how much bigger voice search could get in the near future, but it wouldn’t hurt to act on it now, while its popularity is still on a steady rise among users. Considering that SEO involves continuous updates and changes, all you need to do is to go back to your strategy and incorporate voice search optimisation techniques. It may prove to be an added challenge on your quest to get high rankings, but the benefit would surely outweigh the cost of your effort, especially in the long run.